Will Microsoft's Nokia Deal Shake Up Mobile? 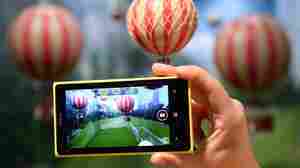 September 3, 2013  Microsoft is buying Nokia's mobile phone business and licensing key patents for $7.2 billion. 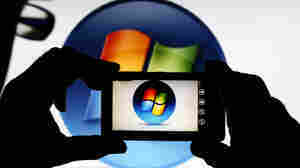 Microsoft is aiming to boost its share of the smartphone market, which is dominated by Google's Android and Apple's iPhone. The deal may also provide a hint of who will take over when Microsoft's CEO leaves. August 28, 2013  The corporate culture at Microsoft seems to go against the tech industry's trend toward more empowered employees. 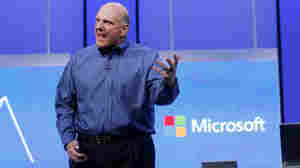 The focus on the software giant's inner workings comes as Microsoft CEO Steve Ballmer prepares to depart. August 23, 2013  As speculation begins about who will replace Steve Ballmer as CEO, NPR's Steve Henn has some advice for his successor: Take bigger risks — and more of them. Do more to encourage innovation and don't forget the PC just yet. 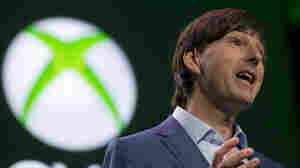 June 19, 2013  Microsoft has changed policies regarding Internet connection and used game capabilities for its upcoming Xbox One gaming console. The company says it is responding to feedback from consumers. June 6, 2013  The illicit computer program reportedly infected five million computers worldwide, stealing bank account credentials. 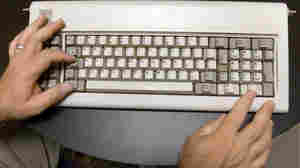 Dozens of banking institutions were hit by the enterprise. 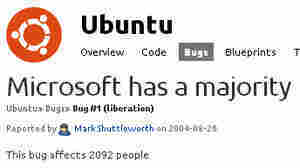 May 30, 2013  In the more than eight years since it was written, the open-source operating system Ubuntu's "Bug #1" was seen as a rallying call: "Microsoft has a majority market share." 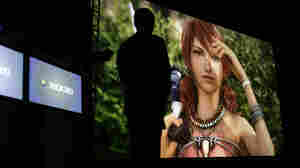 But the entry was officially closed Thursday, as Ubuntu leader Mark Shuttleworth said things had changed since 2004. 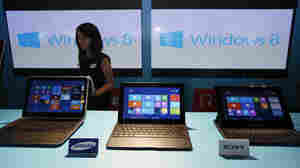 Will Tweaking Windows 8 Be Enough To Revive The PC? May 8, 2013  When Microsoft introduced Windows 8 last year, the software giant billed the new operating system as one of the most critical releases in its history. The system would bridge the gap between personal computers and the fast-growing mobile world of tablets and smartphones. 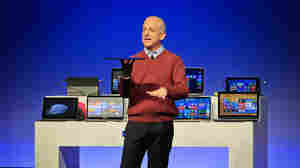 But this week, the company sent signals that it might soon alter Windows 8 to address some early criticism. February 5, 2013  Michael Dell is in the group buying the computer maker. 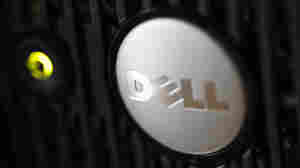 Analysts say the debt the company is taking on will be another challenge for Dell. Bigwigs Out At Microsoft And Apple. Now What? November 13, 2012  Steven Sinofsky and Scott Forstall, instrumental figures at two of the world's biggest tech companies, have left their positions. What does that mean for the future of those companies? 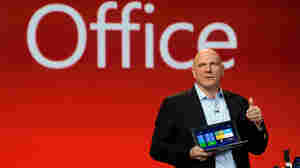 Can Windows 8 Bridge The Gap Between Tablet And PC? 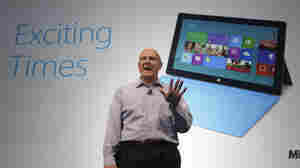 October 25, 2012  Microsoft's new operating system, Windows 8, is the company's boldest move yet. In an attempt to stay competitive with other tech giants, the new software is designed to boost company's mobile and tablet business. But will it upset Microsoft's computer-based loyalists? 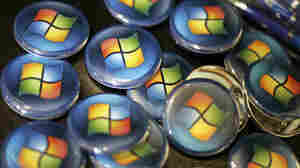 October 23, 2012  This week, Microsoft will roll out the largest upgrade of its Windows software in more than a decade. And for the first time, it's marketing a tablet, called Surface. Microsoft still commands a formidable computing empire, but it's an empire under siege.